The French-born Archbishop Christophe Pierre appears to be on track to become the new Apostolic Nuncio to the United States, exactly nine years after his appointment as nuncio to Mexico. The news was first broken by the veteran Vatican watcher, Sandro Magister, in his blog “Settimo Cielo” on March 10, who wrote that “his promotion is imminent” to that key post. In actual fact, there have been many rumors to this effect in Rome in recent days. The Vatican had no comment to make. As is normal practice, the Holy See will not make any announcement before it has received the agreement of the Obama administration. Nevertheless, reliable sources told America they believe he is Pope Francis’ choice for this most important assignment, and they expect an announcement to be made before Easter. If the news is confirmed, as expected, Archbishop Pierre will succeed the Italian Archbishop Carlo Maria Viganò, who reached the statutory retirement age on Jan. 16. Archbishop Viganò has been the papal representative to the United States since Oct. 10, 2011. Archbishop Christophe Pierre, 70, is widely recognized as one of the Holy See's most accomplished diplomats. 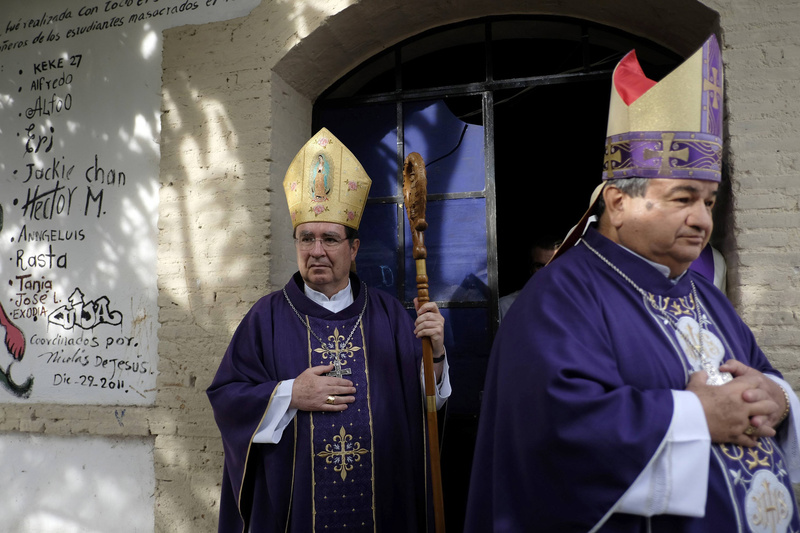 A polyglot, who speaks English fluently, he has served as nuncio in Mexico since March 22, 2007, and excelled as advisor and host to Pope Francis during his recent visit there. Before going to Mexico he served with distinction as nuncio to Uganda (1999-2007) and Haiti (1995-99). He entered the Holy See's diplomatic corps in 1977, and has also served in its missions to New Zealand, Zimbabwe, Cuba, Brazil and to the U.N. Office in Geneva. Let's hope that merging Dioceses is on the Table. There are simply not enough native vocations. Why would one need more Bishops if one has so few Priests to Supervise? I so hope that this rumor is true. I met Archbishop Pierre in Lyon some years ago when he was spoke at a conference at the Catholic Institute. (His English is excellent; certainly better than my French.) What struck me about his is a certain simplicity. He is obviously very intelligent yet does not foist his ideas on you. He welcomes conversation. In the American Church, we need a good listener with a wide breath of experience aboard. He will assist Pope Francis to select many American bishops over the next few years. He will be a strong force behind changing the style of US bishops more toward the open-minded, humble and merciful style of Francis.